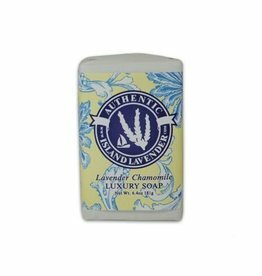 Not only is this soap fragrant and lovely, it has the added benefit of pampering your skin, as it contains shea butter and cocoa butter which moisturize and nourish your skin. 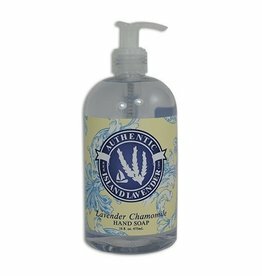 This same wonderful lavender chamomile soap is also available as a full-size bath bar (our Lavender Chamomile Bath Soap at 6.4 oz.) and as a set of three guest soaps wrapped individually and presented in a lovely box (our Lavender Chamomile Guest Soap Set with three 1.9 oz. bars). Check out all these options and pick your favorite. You won't be disappointed. 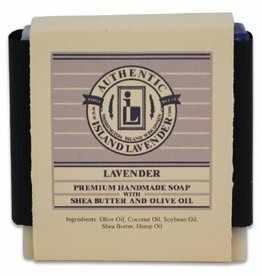 Made with lavender essential oil, rosemary extract and other organic oils, this lavender soap, with its gentle cleansing and relaxing scent, is a customer favorite! 4 oz. 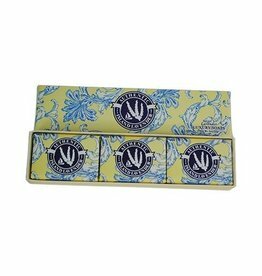 With three beautifully wrapped bars of our popular soap in a decorative box, this item is the perfect gift for every occasion! Each guest-sized bar is 1.9 oz. 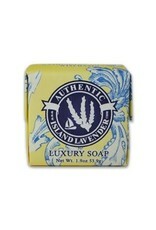 This very special soap has a lovely purple swirl, a wonderfully deep, fragrant lavender aroma and a unique square shape. It makes a great all-occasion gift. 5 oz. 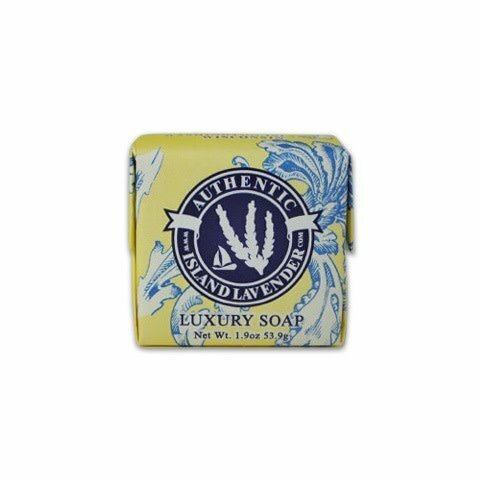 Made with lavender essential oil, this foaming soap gently cleanses, leaving your hands soft, moisturized and smelling of lavender. 8.6 oz. 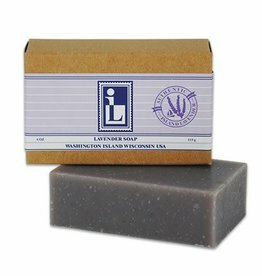 This luxurious exfoliating soap and scrub, with its lavender and chamomile essential oils, will leave your skin feeling tingly clean and smelling fragrantly fresh. 16 oz. 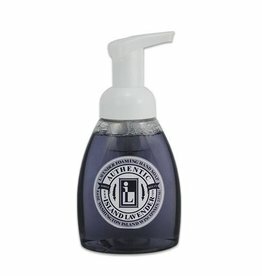 This popular liquid soap with lavender and chamomile will leave your hands clean and smelling great for hours. Keep a bottle next to every sink in your home. 16 fl. oz. 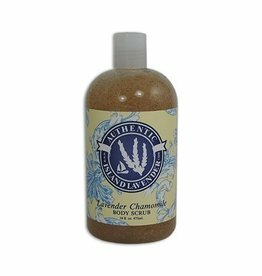 This popular soap combines essential lavender and chamomile oils with luxurious shea buttter so that your bath and shower are relaxing and aromatic! 6.4 oz. 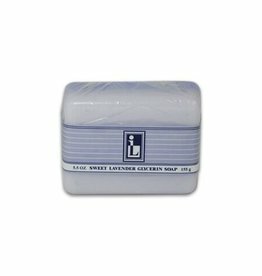 This gentle Sweet Lavender Glycerin Soap is an exceptional cleanser and moisturizer that will leave your skin feeling fragrant, soft and well-hydrated. 5.5 oz.